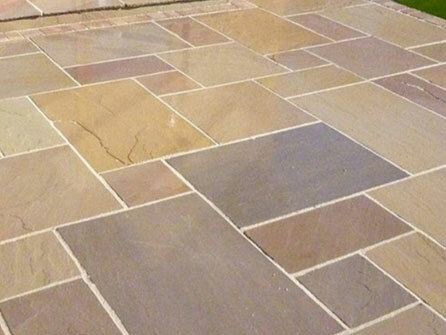 A beautifully laid patio can be the envy of many a friend and neighbour. 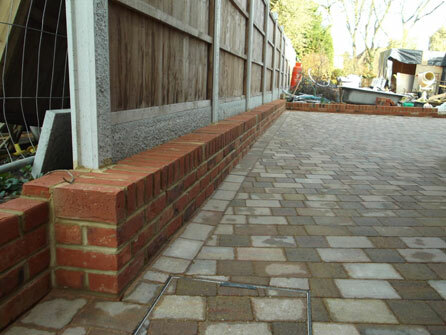 Whilst adding valuable living space to your garden, a patio regardless of its size can add value to your property too. 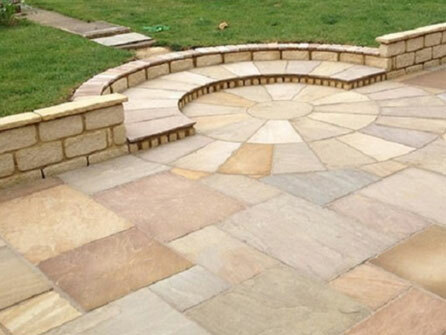 Our patios are made from Indian sandstone, natural stone and also traditional slabs. The choice is yours as to what type of look you are trying to achieve for your garden, we can either work to your designs or if you have no idea what looks good, speak to a member of our experienced team who will be able to give you some free, helpful guidance. 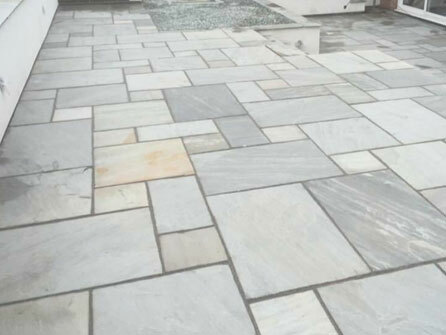 There are endless quality building products on the market today, our team can help you by showing you some recently completed patios in your area, so you can get an idea of what you like and don´t like. 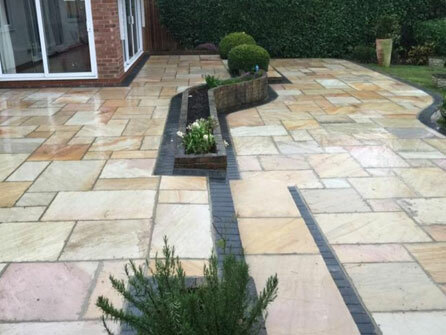 Patios can be completed by adding pathways down to the bottom of your garden, a raised shed base or pathways leading to the front of the house and the driveway. 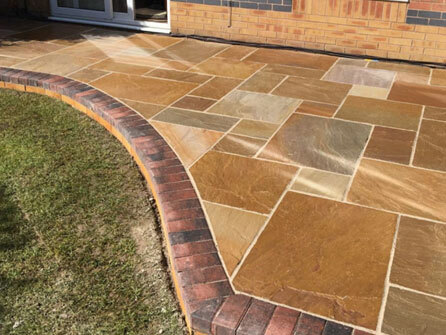 If you have existing pathways, our team will be able to match your patio to them, so you can achieve a uniformed look without having to dig up all your pathways. 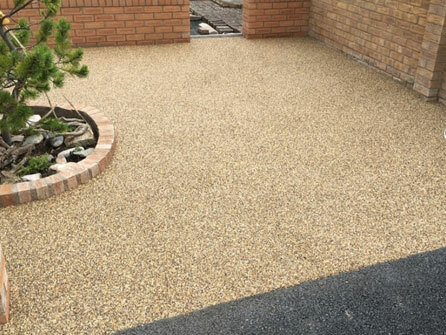 Your existing patio may need extending or simply cleaning or restoring to bring it back to life, speak to a member of our team who will be able to give you a competitive quote to jetwash your patio to remove years of dirt and grime, reseal or resand it or extend it. 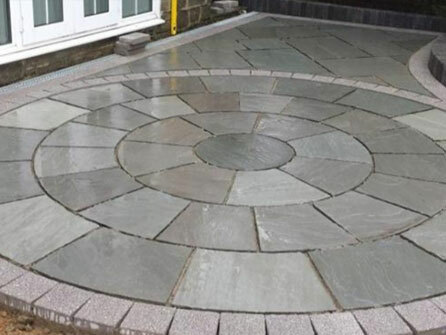 Available to domestic and commercial clients in Hertfordshire, Essex and London, all of our patios are guaranteed for 5 years and our no obligation quotations come at competitive prices. 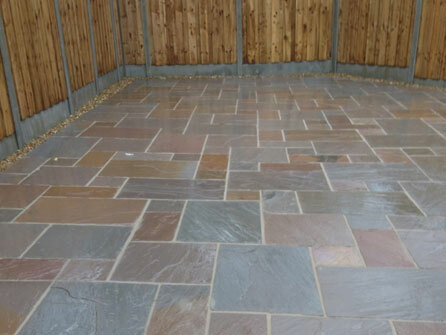 For a free site visit to discuss your patio ideas, call in the expertise of Greenway Paving & Landscapes Ltd on either the Hertfordshire, Essex or London numbers at the top of the page, we look forward to hearing from you.